Are you ready to jump yourself into fun? Looking for something to do on a rainy afternoon in Yorkshire? Want an activity the whole family can enjoy together? Need to get your heart pumping but can’t face the gym? Well prepare for all your dreams to be answered, because you’re about to get some air! 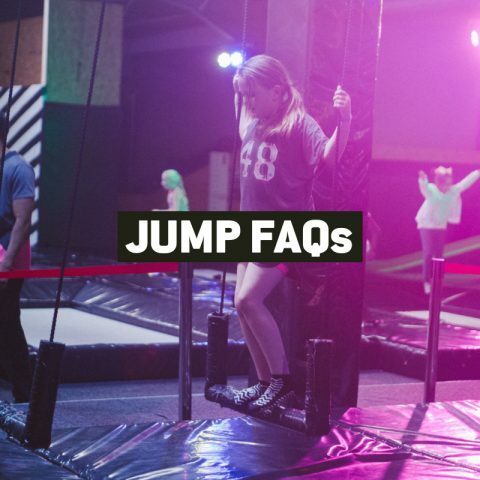 Sheffield Jump Inc is one of the largest dedicated trampoline parks in the UK, with over 24,000 square foot of spring loaded fun under one roof! Our giant warehouse playground is literally wall-to-wall trampolines, so you can bounce and boing to your heart’s content. Whatever your reason for wanting to jump and whatever your age, there’s a level of activity that is just right for you at Sheffield Jump Inc. Our bouncy urban warehouse is jam-packed with 120 trampolines (yes, 120 trampolines, all under one roof! ), so there’s literally no excuse not to bounce the day away. And if you don’t know what any of those are, you’ll either have to take our word for it that they’re totally awesome – or simply come along and find out for yourself! 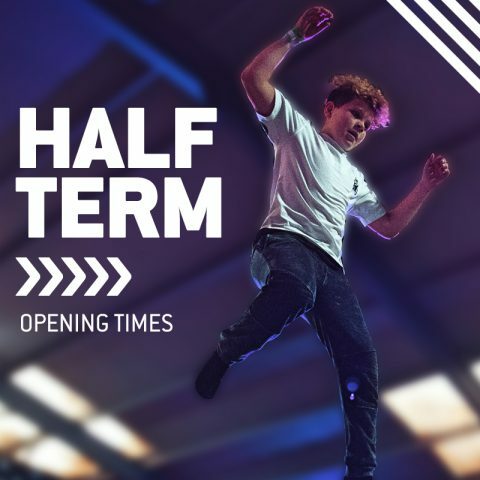 Thanks to our unique trampolining features and activities, you can jump, tumble and slam dunk like nowhere else on the planet. 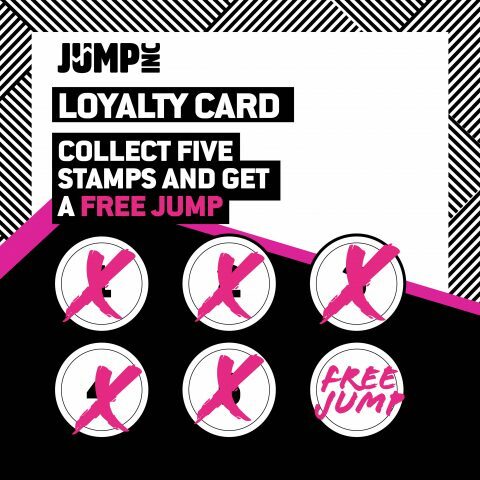 If you think you’ve tried trampolining before then think again, because you ain’t tried nothing until you’ve tried Jump Inc trampolining. For those of you who fancy yourselves to be budding Gladiators or Ninja Warriors, then our terrifying Ninja Obstacle Course is the perfect test for you. Can you complete the course in one go? Or will your strength and agility let you down? Why not come and find out for yourself, and even test yourself against your friends and family? 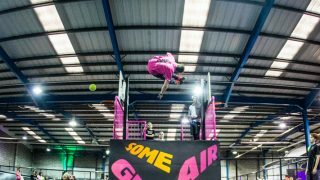 For those who simply like to bounce as high as they can – whether you want to be elegant and graceful or wild and wacky – then you can’t do better than our trusty Freestyle Zone. 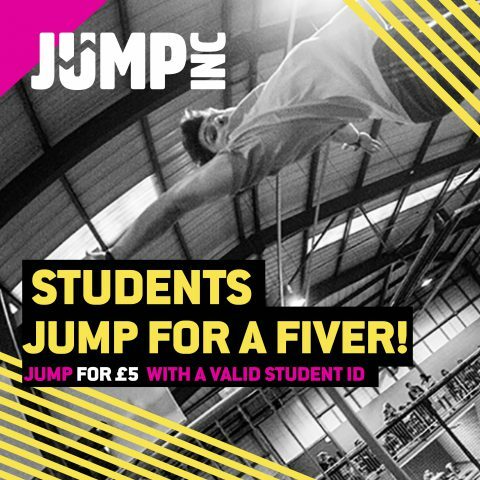 Just come and bounce, on your own or with your mates, and enjoy the freedom of flying through the air! Whoever you’re with and whatever you’re looking for, Sheffield Jump Inc really does have it all. Situated just off Junction 34 of the M1, we’re just a stone’s throw from Meadowhall too, so we’re really easy to find and the best distraction from shopping you’ll ever need! Jump Inc offers specific Jump Toddler sessions, which are suitable for children aged 5 and under. Alternatively, if you can’t make it to one of our Jump Toddler sessions but you love to jump with your little ones, our Rotherham Jump Incflated park is close by and offers a safe environment for them to bounce around and have a great time during Open Jump sessions. • Peak (weekends and school holidays): £9.50 online / £11.00 walk-in. • Off Peak (12pm-3pm week days / term time only): £6.50 both online & walk-in. Make sure you check our Offers & Events page for term time deals! Please note: 5 year olds and under are allowed at our Sheffield park, but must have a paying adult on the equipment with them to supervise. All jumpers aged 11 and under must be accompanied in our parks by an adult for the duration of their visit. The adult does not have to take part in activities but must be present in the building.